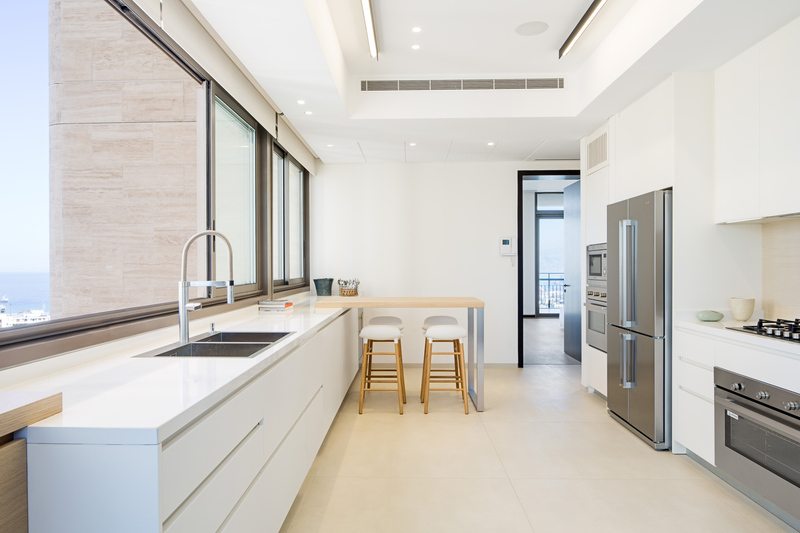 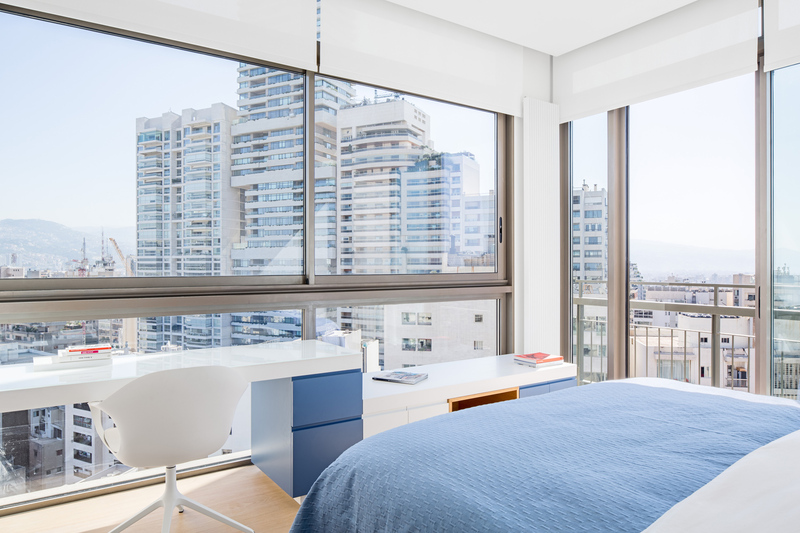 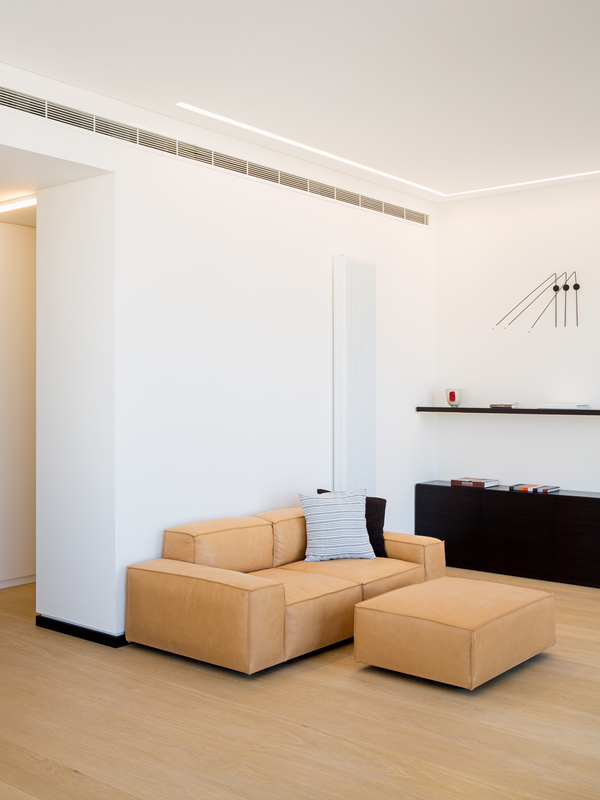 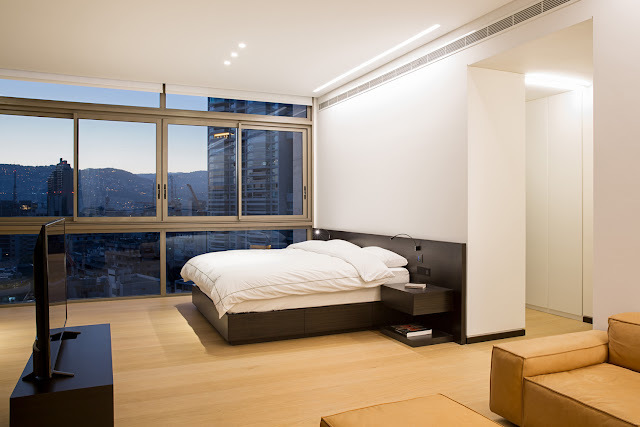 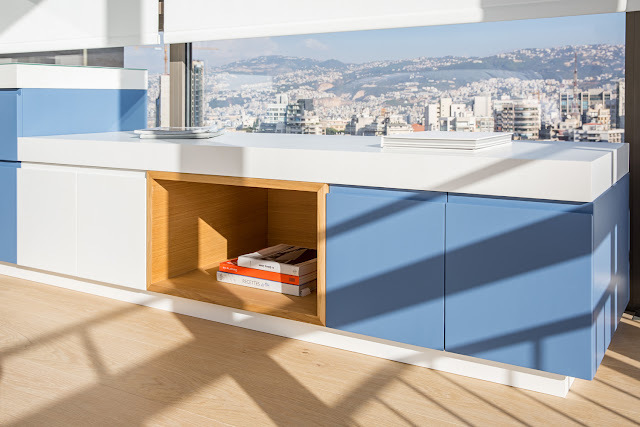 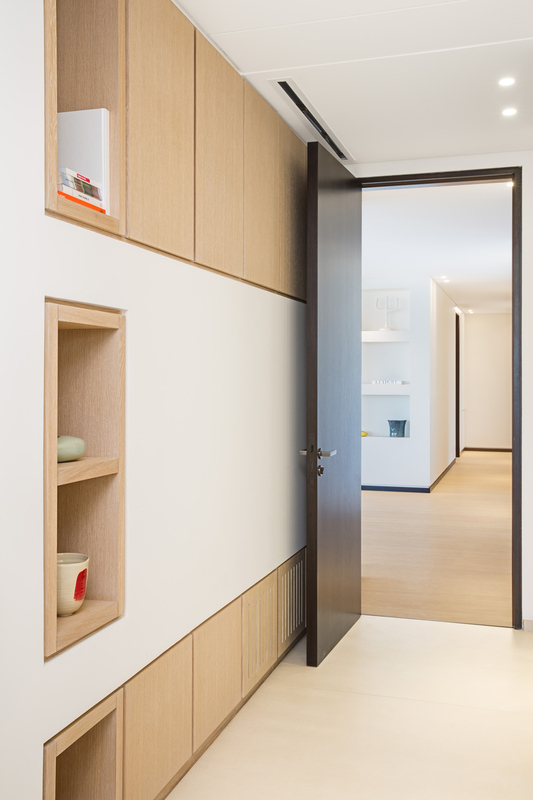 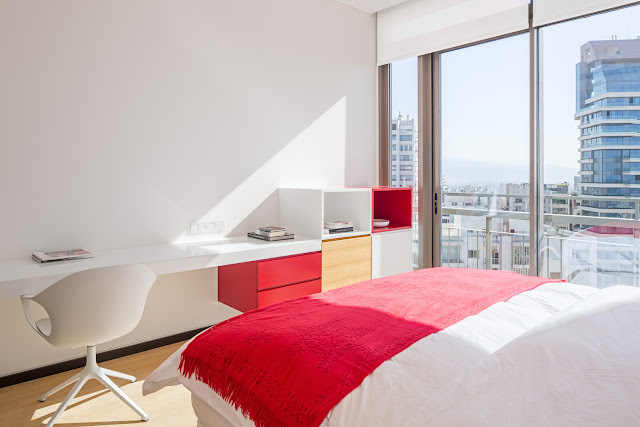 Designed by Beirut based Projects Untitled, this four bedroom unit, located at the 17th floor of a newly constructed habitation tower, is customized to better suit the needs of the client – a father and his two teenagers daughters. 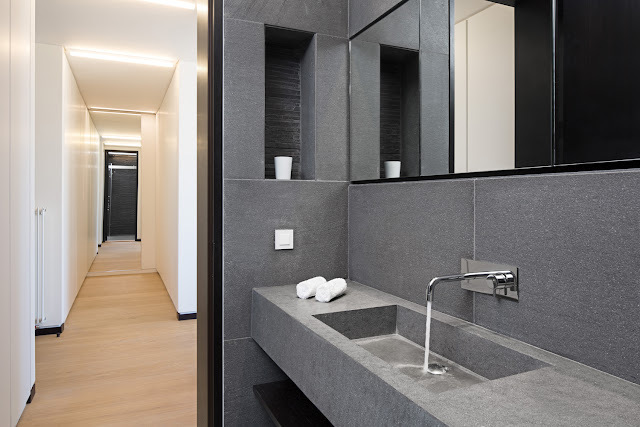 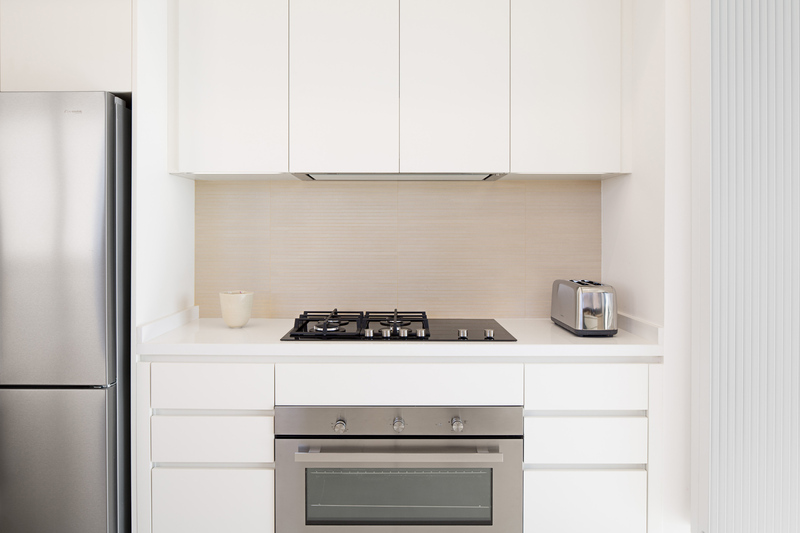 The unit is turned into a three bedroom apartment, creating space for a humongous master bedroom with a large dressing and a complete, private washroom. 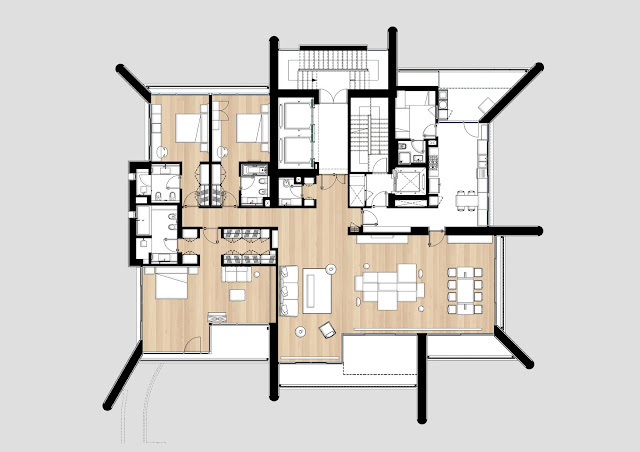 The initial layout is devised according to conventional wisdom. It follows a high-end commercial logic that is quite nice, yet remains a bit rough around the edges - or so to speak. 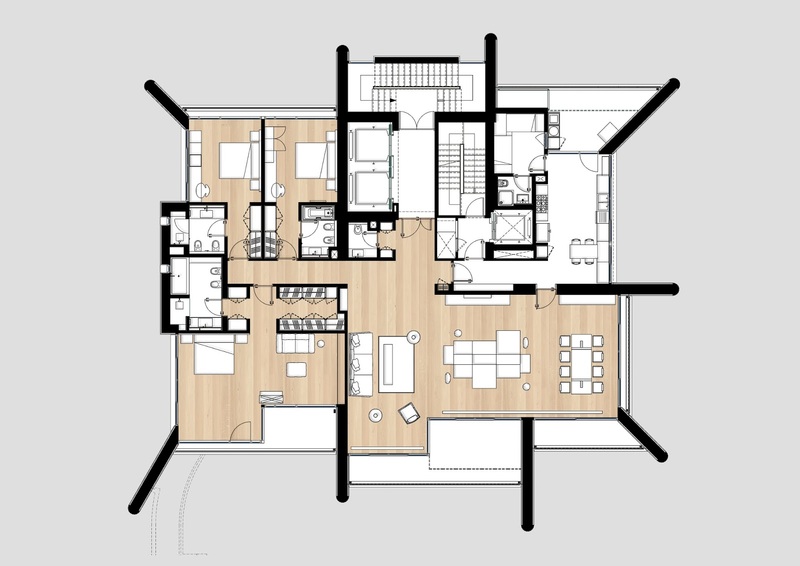 Also, details of the interior design are reworked, giving it a personalized, smoother look. 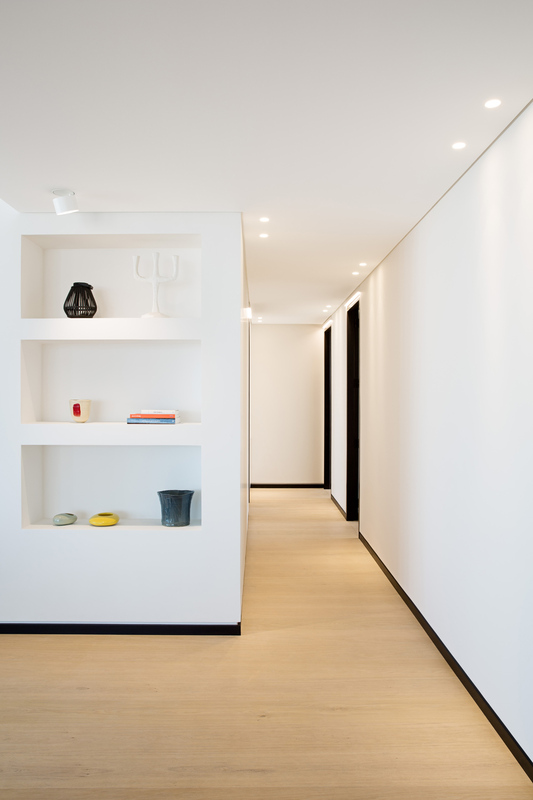 Alcoves are strategically carved into the walls, providing visual continuity with the ceilings - hence dulling their variable heights. Careful positioning of lighting is studied, bringing punctuation and character to every room. 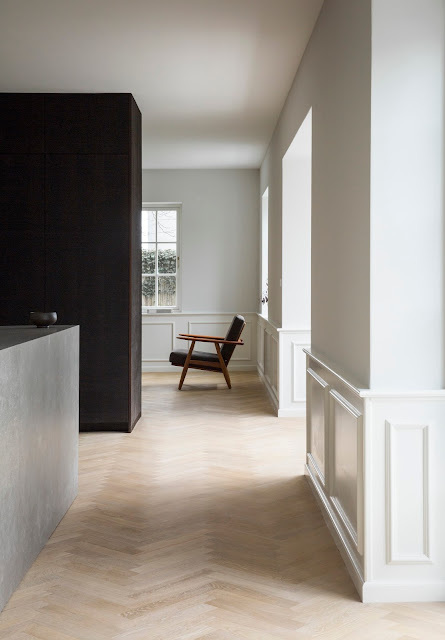 The choice of finishes and materials, finally, provides rich contrasts, adding depth and bringing warmth to the atmosphere: Light oak parquet with span covering all the room’s various width- reaching in the reception 11.7 Meters - contrast with skirting, doors, buffet and coffee table, all in ebony macassar wood and with white walls. 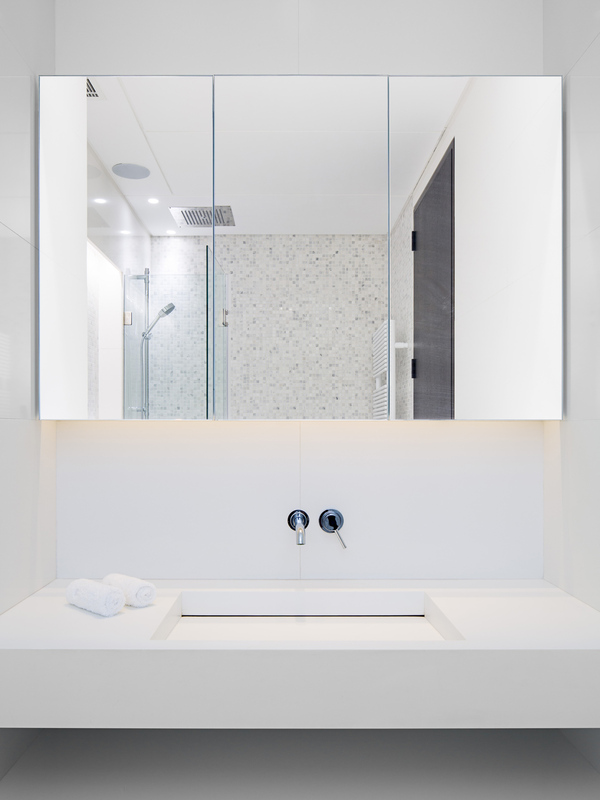 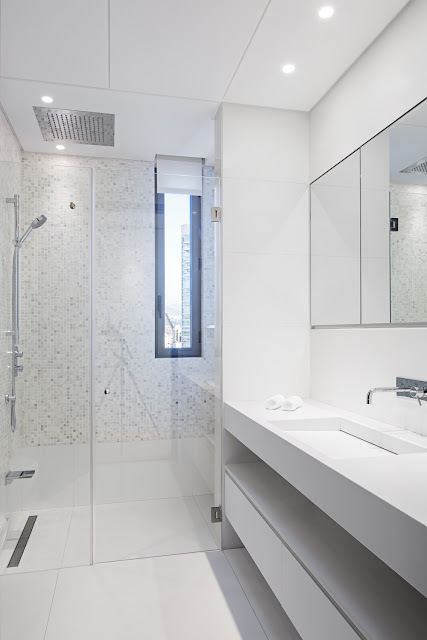 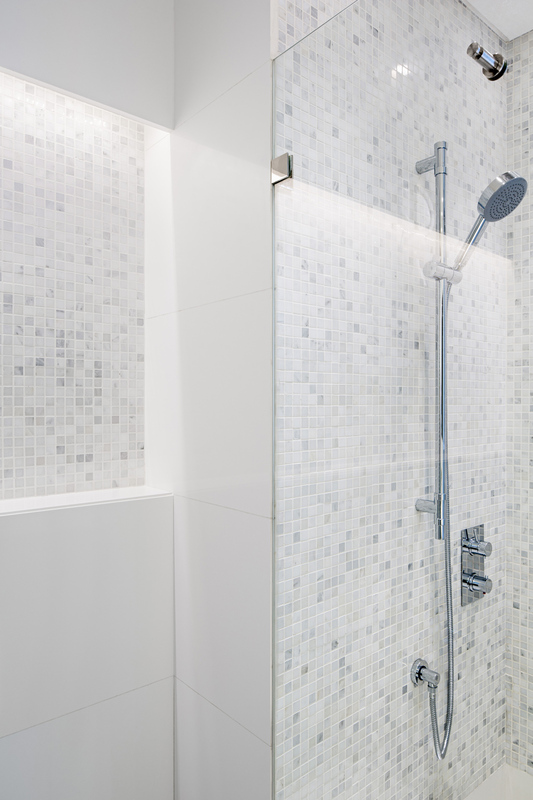 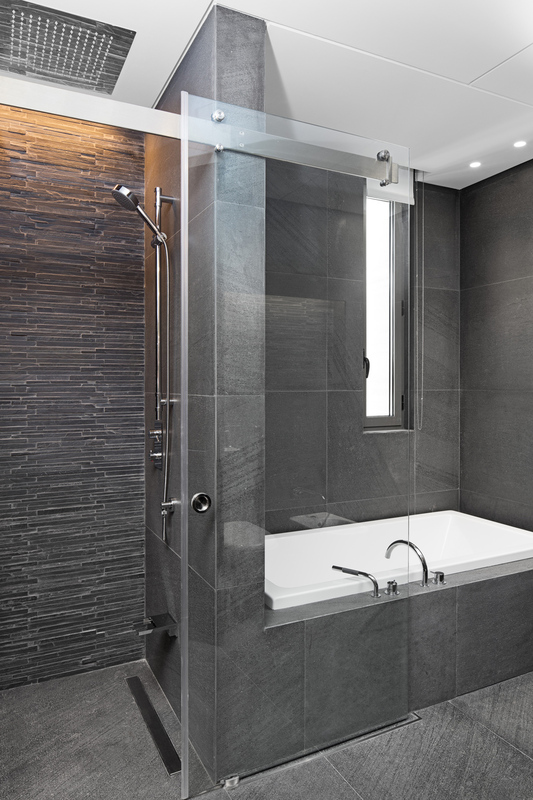 Lava stone and white quartz are used for bathrooms. 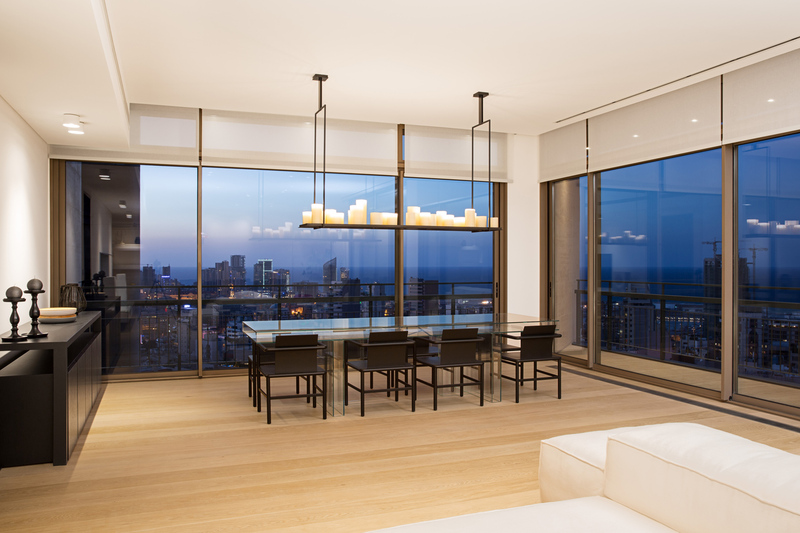 A glass table brings a hint of noblesse and chic to an interior that is otherwise most welcoming, if not casual. The intervention, in sum, reflects the duality of its future inhabitants: the father’s prosperity and wisdom, on the one hand; the lightness, beauty, and candid laughter of his young daughters, on the other.